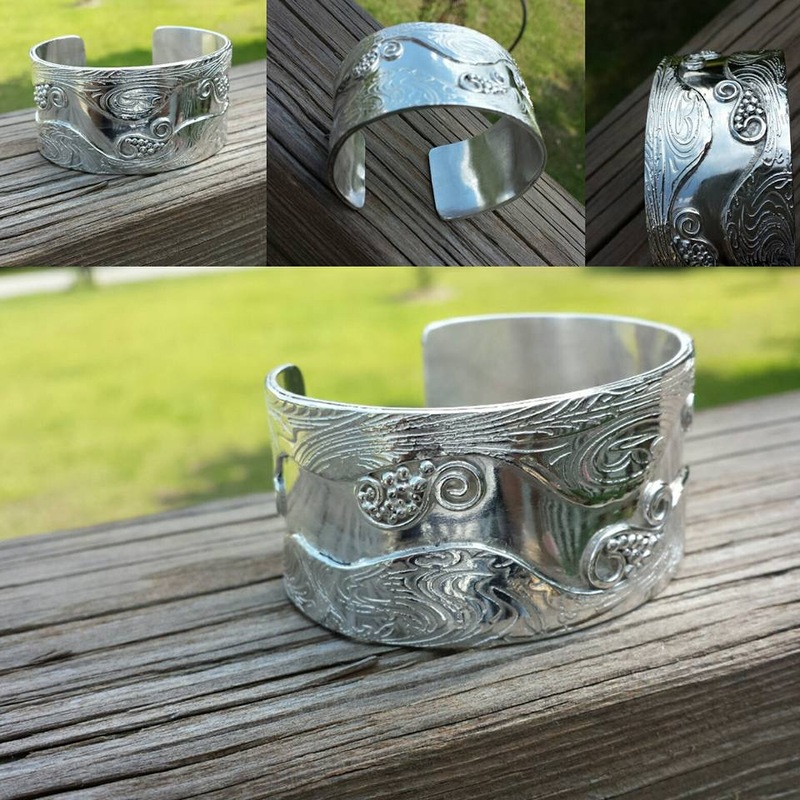 Meet silversmith artisan Barbara Bennett. Barbara was born and lived on Long Island most of her life. Educated at Parsons School of Design in NY she worked in interior design for many years designing custom furnishings and corporate computer and trading rooms for the fortune 500. After moving to the Raliegh, NC area over twenty years ago she became a Food Service Consultant/Interior Designer and focused on restaurant and corporate cafeteria design. 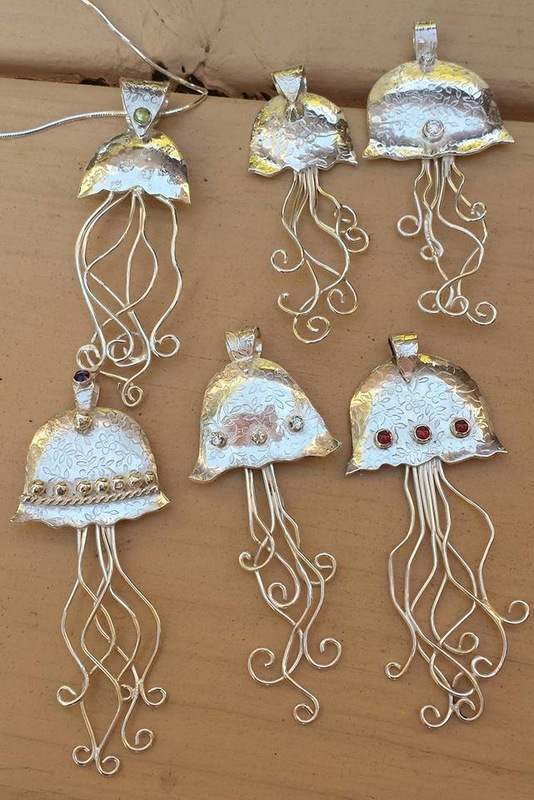 In 2009 she began studying silversmith skills at Pullen Arts Center in Raleigh. Upon retirement in 2011 Bennett moved to the coast settling in Southport and set up a silversmith studio. Much of her design is organic and focuses on elements from the sea.